Of all of the hotels in Fayetteville, AR, the Dickson Street Inn definitely provides luxurious, relaxing accommodations surrounded beautiful, rich architecture as well as the bustling undercurrents of all that the city of Fayetteville has to offer. 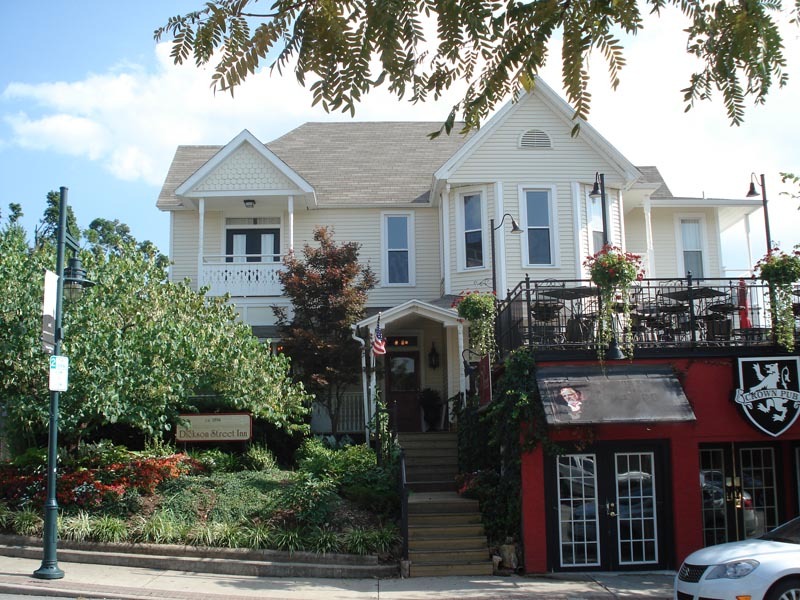 The Dickson Street Inn is a small historic boutique hotel nestled in the heart of Fayetteville’s entertainment and business district. Built in 1894 as a single family home and tastefully remodeled in 2009 to become a ten room Inn, it’s charm has been well preserved while adding all the modern comforts of an upscale establishment. Eight of the ten rooms are in the main house and another two larger suites are in the detached carriage house. An upstairs patio deck connecting the two buildings makes a unique place for guests to unwind and affords a wonderful view of the sunset, and Old Main, the University’s premier signature structure. There are two additional outside seating scenarios perfect for reading, relaxing, having a glass of wine, meeting with friends or business acquaintances, or simply “people” watching on Dickson Street. The large wrap-around front porch facing the street provides a down-home and totally chill atmosphere to sip a cup of coffee, enjoy our complimentary breakfast buffet, or relax in the evening – either before or after dining out in a nearby restaurant or catching a show at Georges, The Walton Arts Center, Theatre Squared, or one of many other options. A third seating area is a quiet private rear courtyard filled with cushioned furniture, statues, and an abundance of potted plants. There you can catch a bit of sun, or sit in the shade, but either way you are sure to love the ambiance. And don’t forget to enjoy this in the evening too. Inside the house, heartwood pine floors dating from the home’s origin are complimented by the elegance of the crown molding, the sumptuous drapes, crystal chandeliers and an assortment of antique & modern furniture pieces; all of which blend harmoniously together to create a warm, inviting atmosphere. Connected to the Inn and open to the public is one of downtown’s most beloved haunts, The Dickson Street Pub. 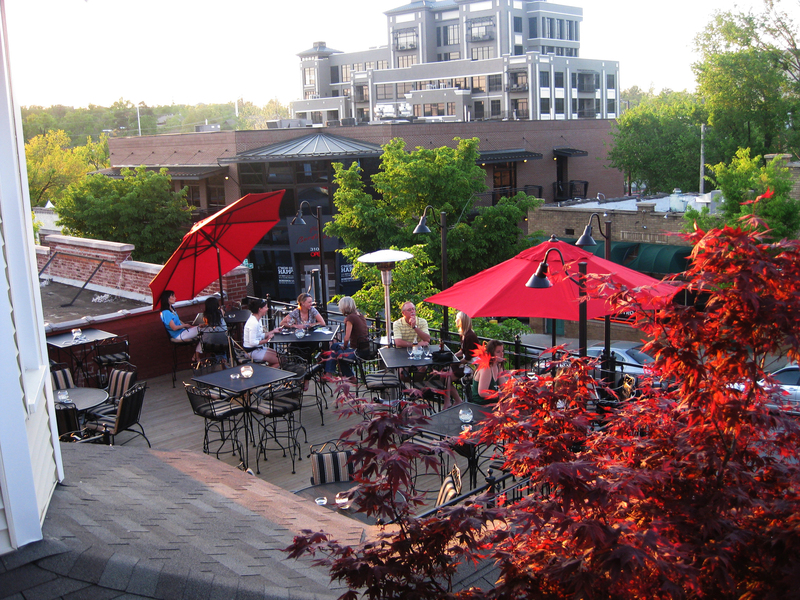 It has a cozy yet lively downstairs street level bar and also an outdoor rooftop patio deck offering a second story view of sunsets, the University, and the excitement that is all things Dickson Street.